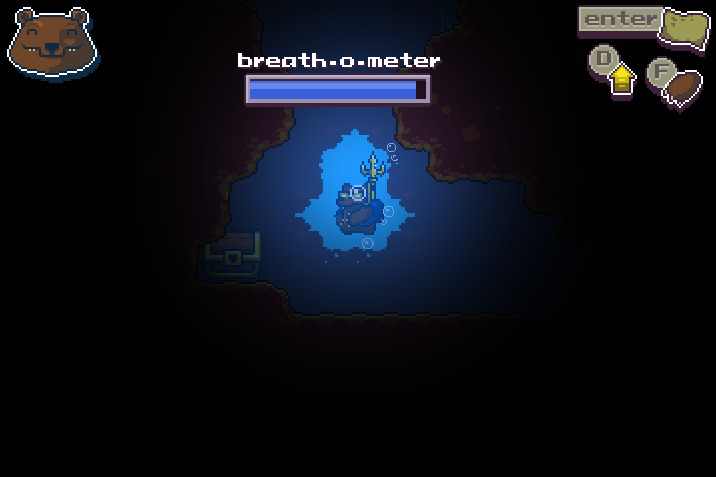 ScubaBear is a collecting and exploration game. A true Beneath the Surface Metroidvania! 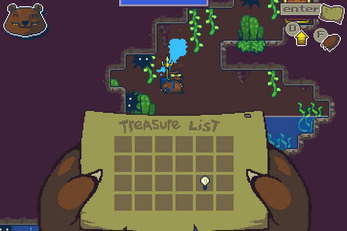 Scuba the bear aims to collect all of the hidden treasures of poseidon. 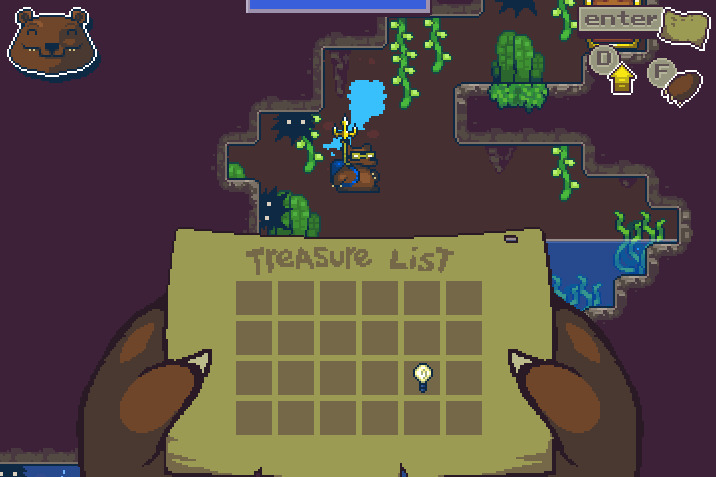 As you collect treasures with ScubaBear your set of abilities will grow and you can explore even more areas. Finally, when you collect all of the treasure you can be proud to call yourself the true King of the Sea. Some game controllers are also supported. I really like this game, but I think it should be easier to get the light, because I have searched for about 30-45 minutes. Please and thank you. Also I think that there should be a description for the items saying what they do and how to use it. AND SO, AT LAST, HE BECAME KING OF THE SEA!!! This was amazing. Thanks for making it. I really enjoyed this game. I thought the steady unlock of the map was very good and the game-play felt nice and controlled pretty well. Once again, very good game - I thought the natural progression of the game was nice. Really the only thing this game might have benefited from is a little joke or something of what you got from the chest was, but that's really up to you, and I thought it was fine without that. 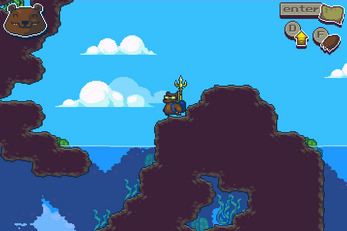 I really enjoyed becoming king of the sea, and nobody can take ruling the sea away from me, except for maybe Aquaman. I really enjoyed playing your game! I uploaded my experience with it to Youtube and thought it would be appropriate to share it here. Thanks for making such a short, but sweet game, I definitely look forward to playing other games you make! That's the kind of game I love! You search and find items, use them to explore new areas, etc. But this one is definitely great here! Oh Gods! how you guys can be so Amazing?! .. this is insane..
it so solid.. many cool mechanic.. dynamic music.. meta\context ui.. Cool, il like this kind of game, beautiful colors, nice music. But I have few problems with controls. In fullscreen, when the map appear, you must press "esc" for quit the map, but this quit too fullscreen. The Xbox One pad is recognized , but the "D" and "F" is "UP" and "LEFT" directional cross.